Founded in 1950, Southeastern Baptist Theological Seminary has been educating Southern Baptists and students of other denominations for pastoral ministry and other forms of service since the first classes were held in 1951. 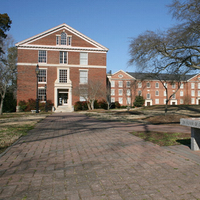 The campus occupies the original home of Wake Forest University. The campus has grown significantly from its humble beginnings, now offering several degrees, including three doctoral degrees, including the PhD. There are numerous master's-level and doctoral-level degrees offered by Southeastern. The most popular degree is the MDiv, available with numerous concentrations, including Pastoral Ministry, Collegiate Ministry, Christian Ethics, Biblical Counseling, Christian Apologetics, Missiology, and Worship Leadership. For students who majored in a related field as undergraduates, advanced placement is available. The MA degree is also available in several concentrations, including Christian Education, Church Planting, Biblical Languages, Old Testament, and Philosophy of Religion. For advanced students, degrees include the ThM, DMin, DEd, and PhD. 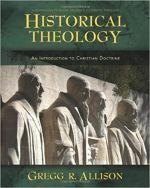 For the ThM and PhD degrees, traditional concentrations are available, including Biblical Studies, Theological Studies, Apologetics, Christian Ethics, Historical Theology, Philosophy of Religion, Preaching, Systematic Theology, and Theology & Worship. In addition to the above onsite degrees, online degrees include the ADiv (Associate of Divinity), AA, MA (Church Planting, Intercultural Studies, and Christian Studies), MATS, and MDiv. Furthermore, the ADiv, AA, and BA are offered onsite through the College at Southeastern. There is no shortage of activities on and off campus to keep students entertained, fit, or engaged in ministry. The Southeastern Student Life Office strives to help build community amongst students, their families, faculty, and staff. Events from Study Breaks to Cookouts help relieve the pressures associated with seminary life. For students who need a quick bite to eat or simply want to enjoy one another's company, the on-campus cafe The Court provides numerous options. And of course, there are no shortage of ministry opportunities, from interim pastor positions to helping fellow students make ends meet. In addition to community activities, there are many services available to students and their families, including the Campus Health Center (physician on-site), on-site and Ledford Fitness Center (offering a great deal of cardio equipment as well as many types of exercise machines and weights). The Cannon Gymnasium is part of the LFC and provides facilities for the many on-campus intramural sports. There are numerous housing options available at Southeastern for single and married students alike. Single students may live in shared dormitory-style housing, shared apartments, or single occupancy apartments, depending upon the student's budget and availability. For students with families, whether it's a spouse, children, or all of the above, there are numerous options available, from one-bedroom all the way to four-bedrooms. As a Southern Baptist seminary, Southeastern Seminary offers tuition that is already subsidized heavily by the SBC. Southern Baptist students further receive a 50% tuition discount. In addition to its already-affordable tuition, several scholarships are available, including the General Scholarship fund (need-based), Raymond Bryan Brown Memorial Scholars Award (merit-based), and President's Scholars Award (merit-based). Numerous other scholarships based on specific criteria are also available. The seminary also provides assistance in helping students locate state-based and denomination-based awards. Southeastern does not accept federal funds for student loans, though it will help students procure private loans if needed.